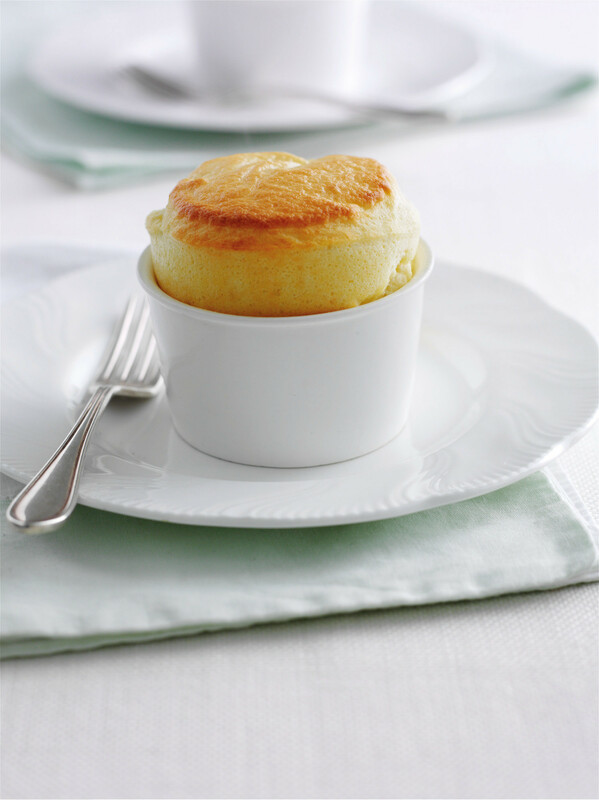 in one larger dish, a soufflé is ideal for supper served with salad. Soufflés deflate soon after you remove them from the oven, so ensure your guests are seated in good time and serve immediately. You can make the soufflé base up to 3 hours ahead. However, you’ll need to whisk the egg whites and finish the soufflé just before baking and serve straight from the oven. 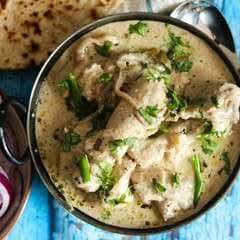 the flour, and whisk until well mixed. Do not let the butter or flour brown. The flour–butter mixture (“roux”) should be a pale gold colour. smooth, then add the rest. mixture does not form lumps. As with all cheese sauces, add cheese off the heat so that it melts but does not overcook. When you feel the sauce thickening, remove the pan from the heat and add the grated cheese, stirring until it has melted. Add the mustard, salt, and pepper. Leave the sauce to cool a little. KEY to SUCCESS The sauce should be lukewarm or cooler before you add the egg whites. while the yolks stay in the shells. KEY to SUCCESS Make sure there is no yolk mixed into the white or the white will not whisk to its full volume. Whisk the egg yolks into the hot sauce, one yolk at a time, whisking thoroughly after each addition until the mixture is completely smooth. Set the mixture aside to cool before adding the egg whites. KEY to SUCCESS Before you whisk egg whites, make sure both the bowl and the whisk are clean and grease-free. the ramekin insides with soft butter. KEY to SUCCESS Use a metal spoon or spatula for folding, not a wooden spoon, which can deflate the egg whites. fluffy, stiff, and resembling clouds. KEY to SUCCESS Do not open the oven door while the soufflés are cooking or they are likely to “sink”. Gently fold in the rest of the egg whites using a figure-of-eight motion, cutting through the mixture, then turning it over until well blended. prevent the soufflé catching the sides. and just starting to go golden brown.